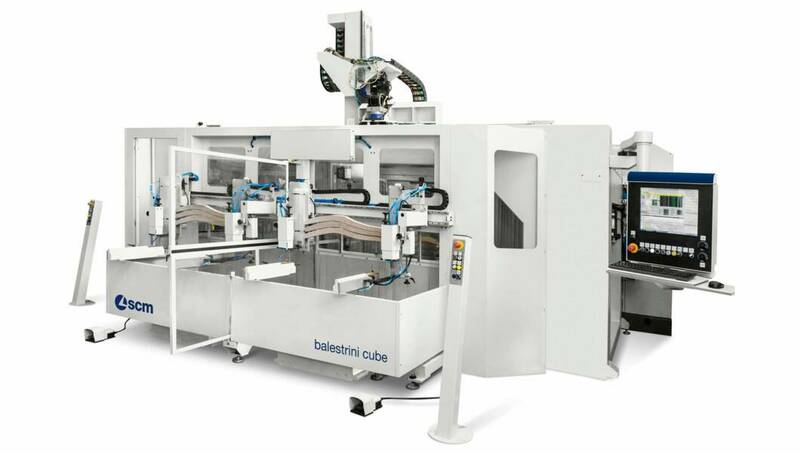 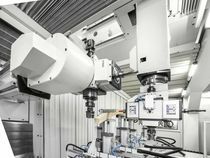 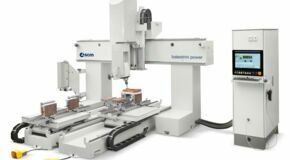 balestrini cube’s operating heads work as two independent 5-axis machining centres, performing a wide range of operations on the work piece in a very short time. 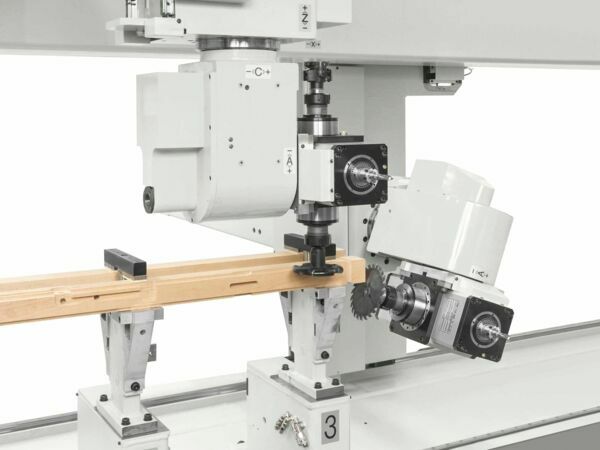 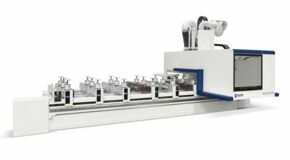 The innovative machine structure, equipped with independent strokes, allows both working units to process the work piece at the same time, without overlapping or limitations. 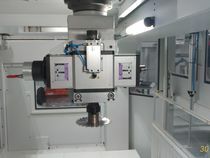 Two multi-function operating heads perform machining/ handling of the work piece and the positioning of the worktables. 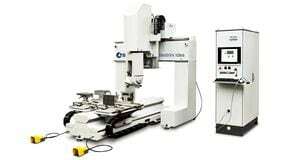 The movements of the two operating heads are synchronized by NC to allow them to overlap during work piece machining. 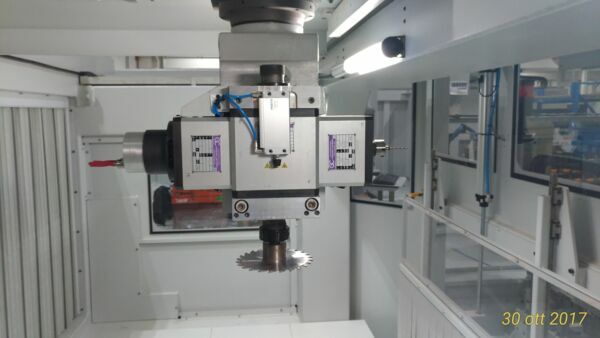 Working unit revolver with 4 outlets and 3 electrospindles (no. 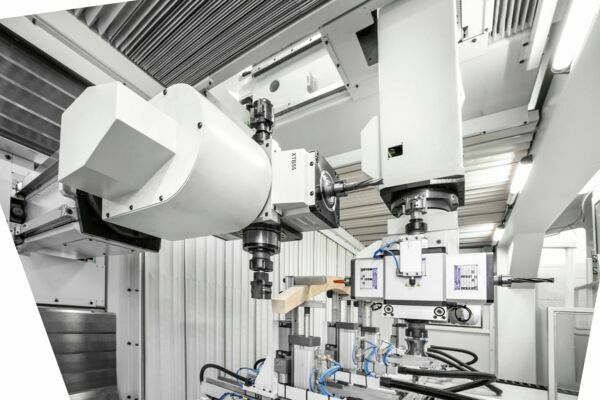 1 x 9,5 kW, no. 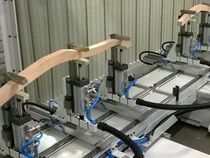 2 x 4 kW). 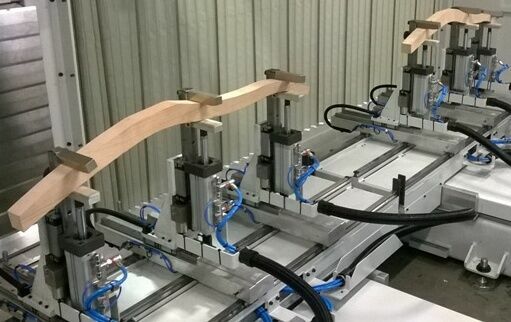 JIG FREE worktables with automatic positioning and carried in X,Y and Z.